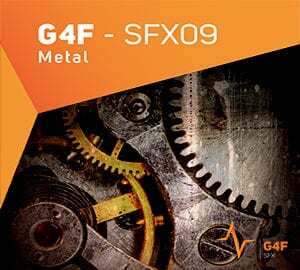 The G4F SFX09 – Metal soundbank is comprised entirely of metallic sounds generated by many different objects. 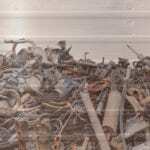 The soundbank contains high-quality recordings made at the Foley’Torium studio. The recordings are 96 kHz/24 bit, with a Class A setup (Sound Devices recorder with DPA and Neumann mics). The sounds are grouped into 3 categories: Impacts, friction, rolling, sliding, engines/motors with metal resonators providing a very rich texture. It also contains several specific sounds designed for quick use. Gear Used: The recordings are 96 kHz/24 bit, with a Class A setup (Sound Devices recorder with DPA and Neumann mics).